The Cincinnati Zoo has been dedicated to sustainability not only on-grounds within its Avondale location, but at its off-grounds property as well. In 1995, a 529 acre farm called Bowyer Farm was willed to the Cincinnati Zoo & Botanical Garden with the guideline that it could never be developed unless it is to further the mission of the Zoo. Since then, the property has grown to 600+ acres, and is connecting with the Zoo’s mission of Adventure, Conservation, Education and Community in various ways. 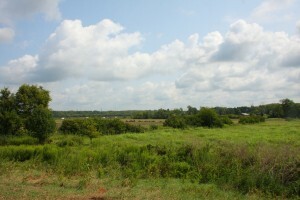 Wetland Reclamation – There are 24-acres of land that have been determined to have been a natural wetland at one time. Over time, this portion of land has been used as farmland producing soybeans and corn. Through support and funding from the U.S. Department of Agriculture (USDA), the Zoo is now able to take that 24 acres and reclaim it as its original state of a wet sedge meadow, or wetland, eventually returning the floral and faunal diversity that once was there. To get started, we conducted a tile search as well as completed dike work and excavation during the summer of 2012. A “bioblitz” was conducted to establish a baseline for current species residing in the area, and determine what species could be attracted to return. Since then, we have constructed vernal pools, planted trees and established a prairie buffer. A variety of nest boxes and houses for native wildlife, such as barn owls, martins and bats, have also been erected. To date, over 170 species of birds have been seen at the property. Long term, the possibilities for Bowyer Farm are endless. The main goal is to return the area to its original wildlife, with a rich array of plant and animal species that historically are naturally occurring to Warren County. Some of these species include, but are not limited to, upland passerines, bobwhite quail, tree swallows, bluebirds, prothonotory warblers, American kestrels, purple martins, screech owls, saw whet owls, various waterfowl, snakes, salamanders and butterflies such as Zebra swallowtail, spicebush and monarchs. Eventually, as the wetlands become established, walking trails and a small education center may be implemented, along with special events that offer educational programs and demonstrations, give aways, opportunities to explore the wetland, and much more. 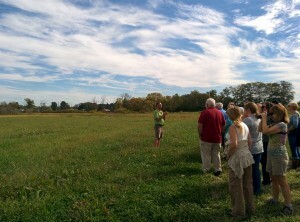 Ideally, Bowyer Farm will become a green oasis in a sea of suburbia. A major component of the farm is our Native Plant Program. This program grows thousands of native plants each year. These plants are then used at the Zoo in our landscapes, planted out into the restoration projects, or sold at our annual native plant sales. These sales are held annually in May, July and September, and are open to the public. While respecting the conservation theme of the property, the Zoo is also growing food for our animals. Called ‘Browse’, birch, willow, hackberry and other species are grown at the farm and collected for distribution at the Zoo. Hay and straw are also farmed at the site. Anyone wishing to volunteer for the Bowyer Farm Wetland project, please contact Brian Jorg at [email protected]. Please include any special abilities, such as planting/gardening, birding, carpentry (able to construct bird boxes), etc.